Narayan Rane had started his political career with the Shiv Sena and then joined the Congress. Narayan Rane quit the Congress last week, saying it had failed to keep its promise. 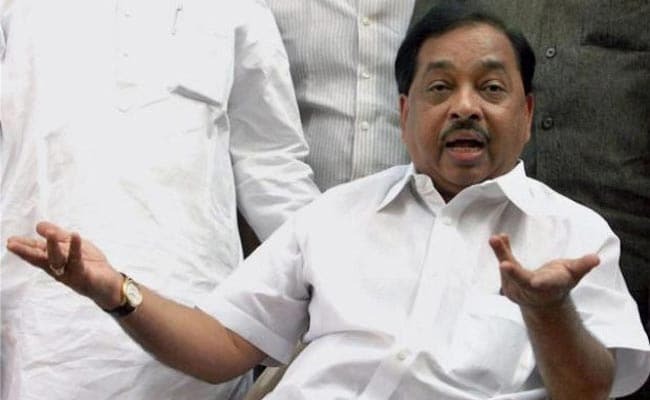 Mumbai: A week after quitting the Congress, former Maharashtra Chief Minister Narayan Rane floated his Maharashtra Swabhiman Paksh on Sunday. The move is seen as prelude to his entering the Devendra Fadnavis government. An alliance with Mr Rane's party will form a safety net for the BJP in case of an exit by its fractious ally Shiv Sena. Mr Rane today gave hints of his future plans, declaring, "After setting up the party organization, we shall decide on our future course including allying with the NDA". There has been speculation that he could take oath as a minister in the Maharashtra government. Mr Rane's circuitous route was chalked out after a series of meetings with BJP chief Amit Shah, party sources said. It was made necessary by the threats of the Shiv Sena -- which had been upset over reports that Mr Rane was expected to join the BJP -- that it would walk out of the government. The leader from Konkan, who started his political career with the Shiv Sena, had been forced to quit after his comment criticizing party patriarch Bal Thackeray for his "blind love" towards his son Uddhav Thackeray. The Sena -- which has been perpetually at odds with the BJP government at the Centre and the state -- threatened to end the alliance after reports of Mr Rane joining the BJP. Mr Rane quit the Congress last week after the party allegedly failed to keep its promise of making him the Chief Minister. "Ahmed Patel, (Congress president Sonia Gandhi's political adviser) had told me after I joined Congress that I would be made the chief minister," Mr Rane said while addressing a press conference.